As I begin my journey to learn as much as I can about BBQ, I have learnt one thing. 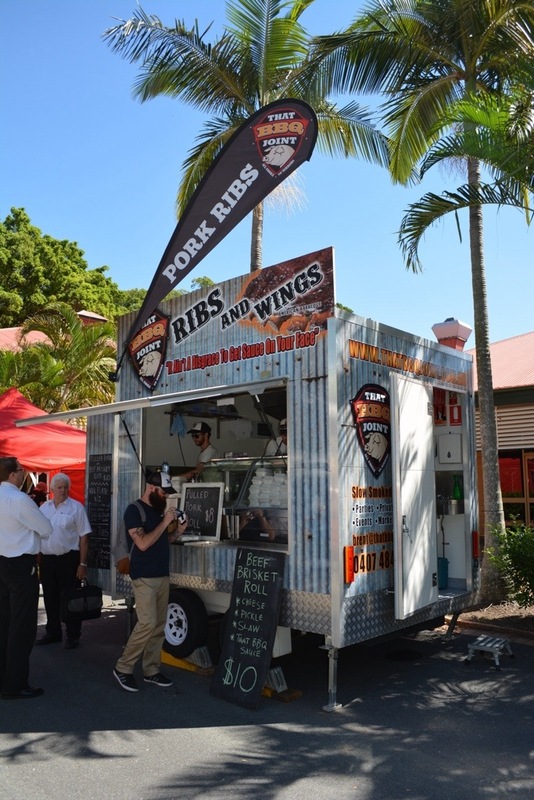 There are many places in Brisbane that claim to have the ‘best’ BBQ, and sadly there are not many that do! Today I finally found someone that can make that claim, today I visited That BBQ Joint. 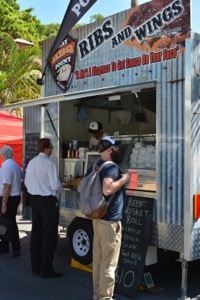 That BBQ Joint is a mobile food van, and today it was located at the Milton markets on Little Cribb Street. I visited for lunch at 1140. 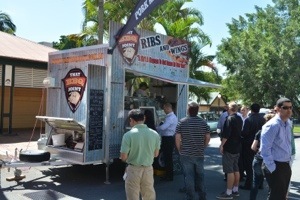 Because That BBQ Joint is a mobile van, I can only comment on the external appearance. The van was easily identifiable, with clear signage, a large banner and the outside of the van appeared from a distance to be clad with corrugated iron sheets. On closer inspection, the sheets were actually a print, effective in giving the van that old shed appearance. 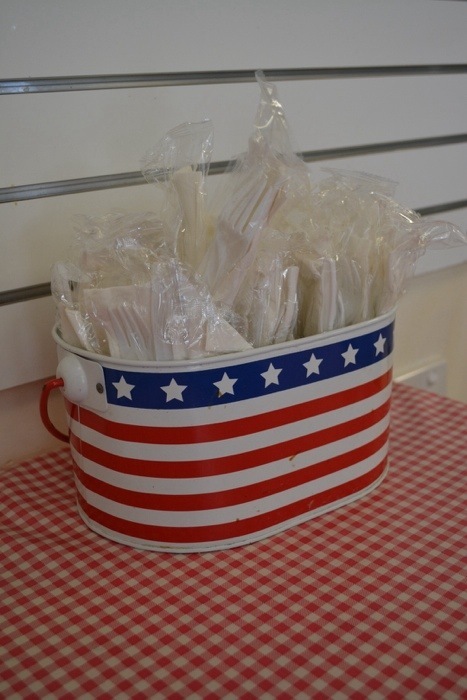 There is a service bench at the front that contains napkins, forks and a good choice of sauces. 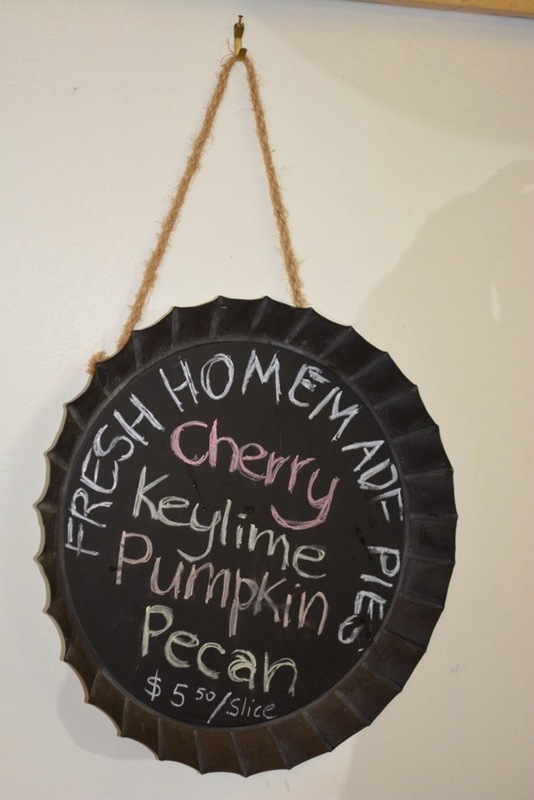 The menu is displayed on chalk boards at the service window, and is simple yet attractive. It only serves BBQ and is not too complicated, with minimal add ons! 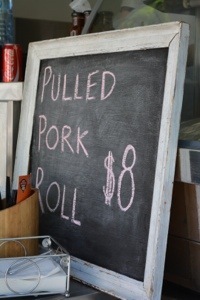 – Pulled pork rolls with sauce and slaw. 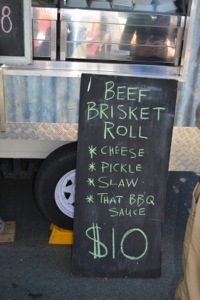 – Beef Brisket roll with cheese, pickle, sauce and slaw. 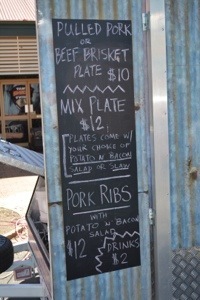 – Smoked pork ribs with a potato and bacon salad. 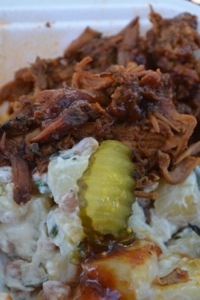 – Pulled pork or beef brisket plate, served with either potato salad or slaw. Today there was a special in addition to the single meat plate, which was a mixed plate of brisket and pulled pork, for an extra two dollars. The owner of That BBQ Joint Brent, was one of two staff in the van, and he was very approachable and happy to discuss his business, and passion for BBQ. Despite being busy, he was quite happy to answer all of my pesky questions! All of the ingredients for each dish was already prepared and ready at hand, and once the order was placed, service was quick and efficient. 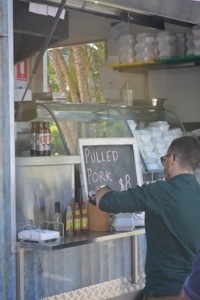 I ordered the pulled pork roll, the mixed meat plate and a drink. Although I didn’t order the ribs, Brent kindly gave me a sample to try. The sample that I was given met all my expectations , and these ribs have set a new benchmark for judging all others. They were tender, full of that smoky flavour and covered in a sauce that enhanced the taste. The best thing about them was that they were ‘smoked’, not boiled, had the membrane removed, and the smoke taste lingered with me for some time after. In talking to Brent about how other restaurants claim to have the best ribs, we both agreed that you don’t need to tell people that you have the best, they will decide. Today I have decided, and so far these are the best in Brisbane! For me, there is no better way to eat pulled pork, than in a bun with coleslaw. I was looking forward to eating this dish, and I was not disappointed! 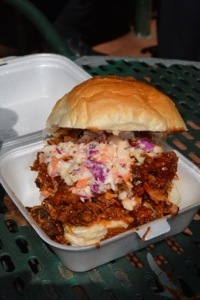 The bun was soft and fresh and filled with heaps of succulent moist pulled pork, sauce and a fantastic coleslaw. The combination of all these ingredients, made for a lip smacking sensation, several napkins were required! I wanted to taste both the brisket and pulled pork individually, so I decided to order the mixed plate special. 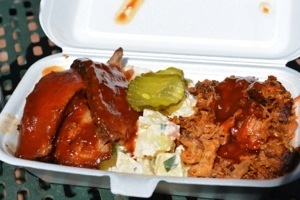 The two meats were served either side of a generous portion of potato salad, and both had ample amounts of sauce added. 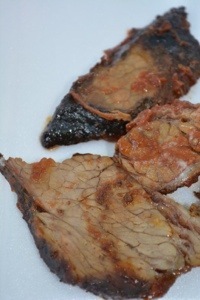 There is a school of thought that brisket should not be served with a sauce. For me, I feel that it enhanced the flavour of the brisket. The brisket itself had a nice smoke ring, tasty bark and a nice fat layer. If I was judging in a competition, my only critique would be that it was a touch dry, luckily I am no judge, as for me it was delicious! The potato salad side and pickle garnish, was a great accompaniment for the two meats, balancing out the richness from both. It had a great texture, smoked bacon flavour and the potato was not over cooked. 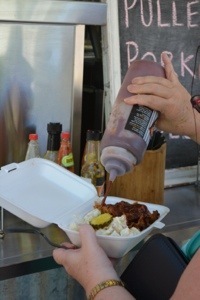 Finally the pulled pork, an ample serving of moist, tasty melt in your mouth goodness! Without the roll and coleslaw, the serving of pulled pork was just Devine, and it’s flavour and moistness wanted me to come back for more. The mixed plate is a perfect way to taste all that is good about BBQ, well cooked meat with a great smoky flavour that melts in your mouth. I have always said that ribs are too expensive in Brisbane, with $15 for a half rack being reasonable, anything more and it’s not value for money. That BBQ Joint has a half rack of pork ribs for $12. 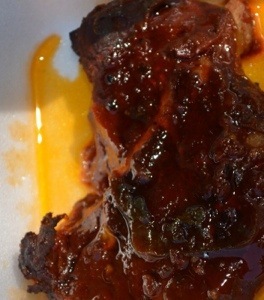 After tasting ribs in other places, you will not find better value for money, especially when they taste this fantastic! For just over $20 including a drink, I challenge anyone to find better value for money. The portions were more than generous, and in my opinion it was money well spent. In talking to Brent during my visit he said that, “his food may not be perfect, but then what is”. After dining at his mobile restaurant, I would say that he is not far from being up with the best in Brisbane, that’s for sure! 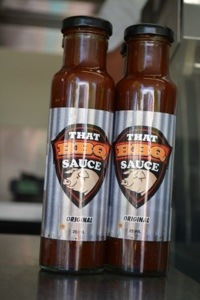 The food ticks all the boxes for me, it actually has a great BBQ flavour, that is only enhanced by the addition of sauces. The serves are generous , taste and look good, and great value for money. The whole reason for my journey to the USA is to not only learn how to cook the best BBQ that I can, but to also taste as much BBQ that I can. So far, this is the best BBQ I have tasted in Brisbane. Is it the best I have ever tasted? I will let you know when I get back from the USA. If you love BBQ, do yourself a favour and visit That BBQ Joint soon, but hurry, the food is that good, it may be sold out by the time you get here! In preparation for my BBQ adventure to the USA in May, I thought it would be a good idea to practice my restaurant reviewing technique. I started off in February with Roasties American BBQ, and have not had a chance to do any others since then. 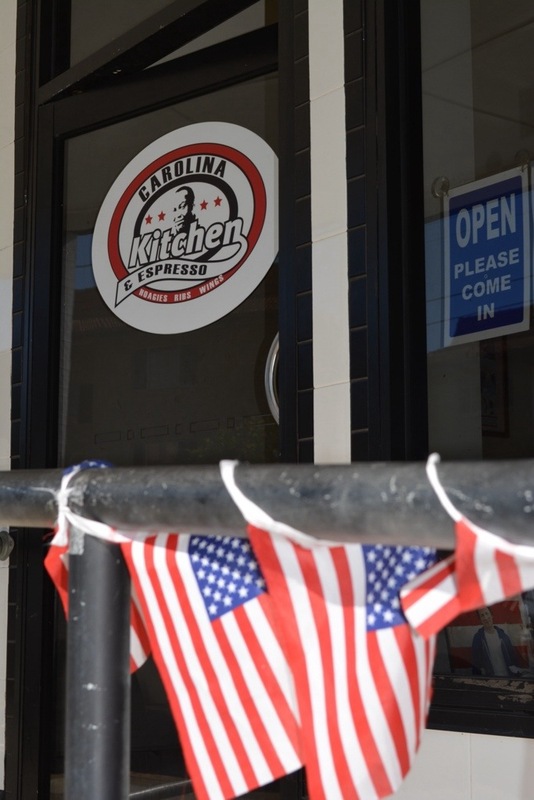 Today I visited Carolina Kitchen and Expresso at 38 Macaulay Street, Coorparoo. 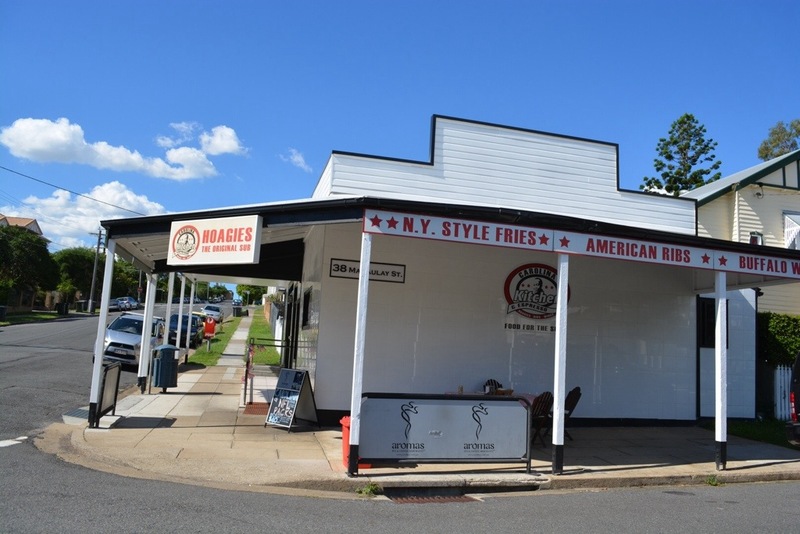 Whilst it is not technically the type of BBQ restaurant that I will be visiting in the US, it is one of the few places in Brisbane that serves American fare. I arrived at Carolina Kitchen at 1305 for lunch. The restaurant is one of two units located on a corner, away from the hustle and bustle, and driving towards it I nearly drove past, as I expected it to be bigger and busier! My first thought was that it was closed. Luckily for me it was well and truly open, and I was lucky enough to have the place almost to myself! The exterior was very clean and the interior was the same. Upon opening the door, I was met with a great smell coming from the fryer, and soul music playing in the background. The atmosphere was relaxed and there was enough ‘cosy’ seating inside for around 20, with a table outside. 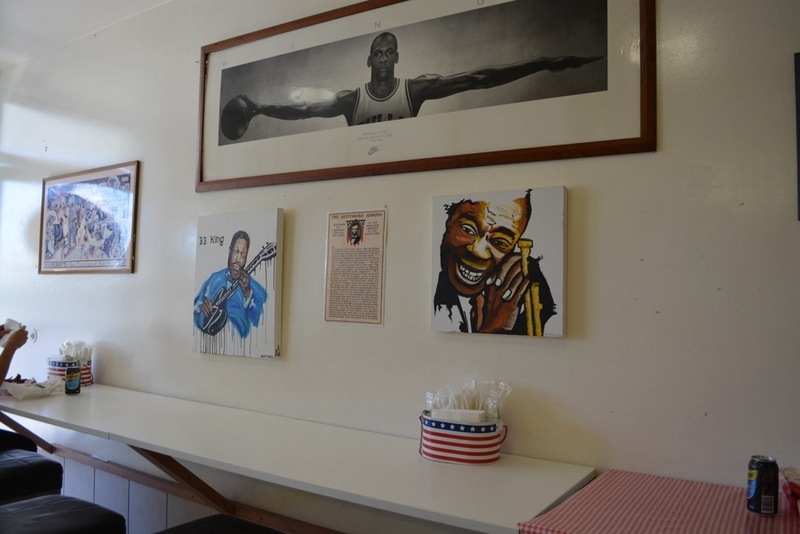 The three tables inside were quite basic with the customary chequered plastic tablecloth , and the full length bench allowed for side by side seating under the watchful eye of Michael Jordan! 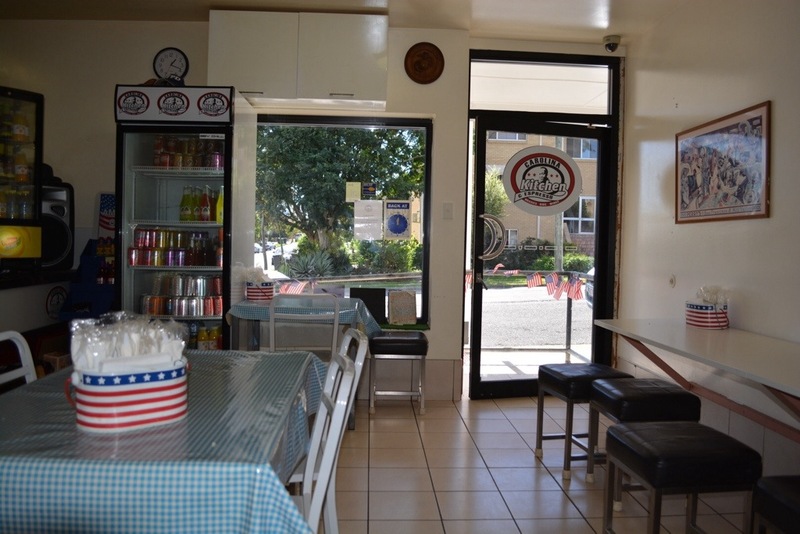 To the right of the entrance was the service counter and food preparation area. Because Carolina Kitchen does not claim to be an American BBQ restaurant, the choices for BBQ items are rare. 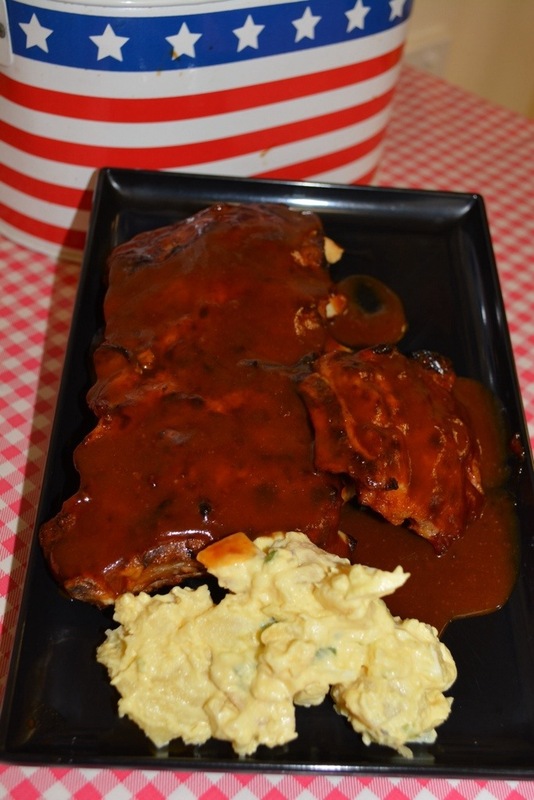 In fact, the only choice are ribs, Aunt Lilly Mae’s BBQ ribs to be exact! 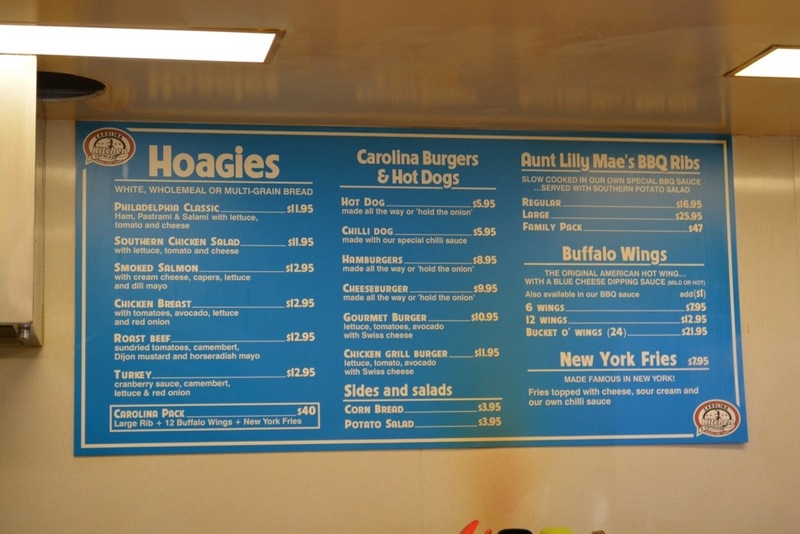 There are choices of Hoagies (rolls), burgers and hot dogs, ribs, fries and wings to choose from the menu, along with a selection of home made pies for dessert. 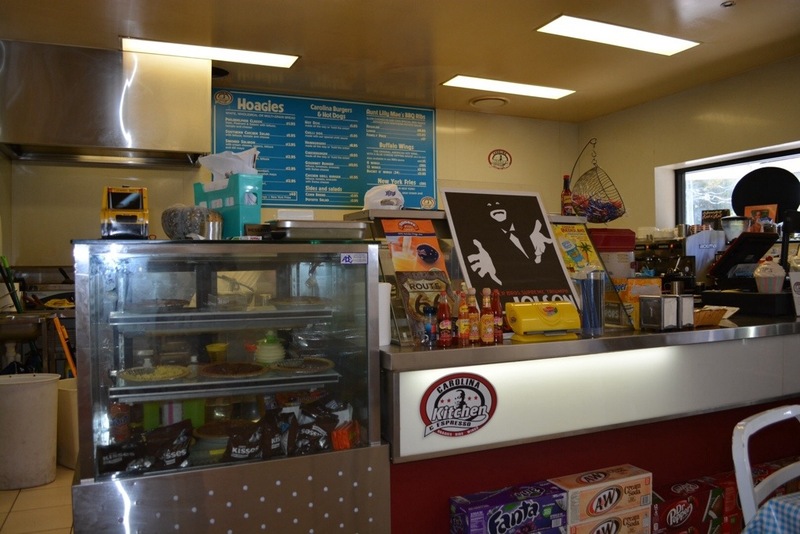 The ordering process was done by placing your order at the counter, and the staff were friendly and efficient. I was able to sit at a table whilst waiting, and during this time I chatted with Nigel, who along with his brother and father, is a part owner of the place. There was a genuine feeling of pride about this family run business, and talking to Nigel it made me feel at home and hearing how the food was prepared, it made me want to taste what was on offer. I ordered three dishes from the menu and a drink. The ribs were not smoked, Nigel would not reveal exactly how they were cooked, but he did say they were finished on the grill. They were served with a small side of potato salad and smothered in a vinegar based BBQ sauce. For me the sauce was the highlight of the dish, the mixture of sweetness and the tang of the vinegar, it kept me licking my fingers throughout the whole meal! The ribs themselves were tender enough, however the membrane was still on and they could have done with a bit longer on the grill, just to give a bit more crunch on the outside. The side of potato salad tasted fine and the portion size was about right to acompany the half rack. 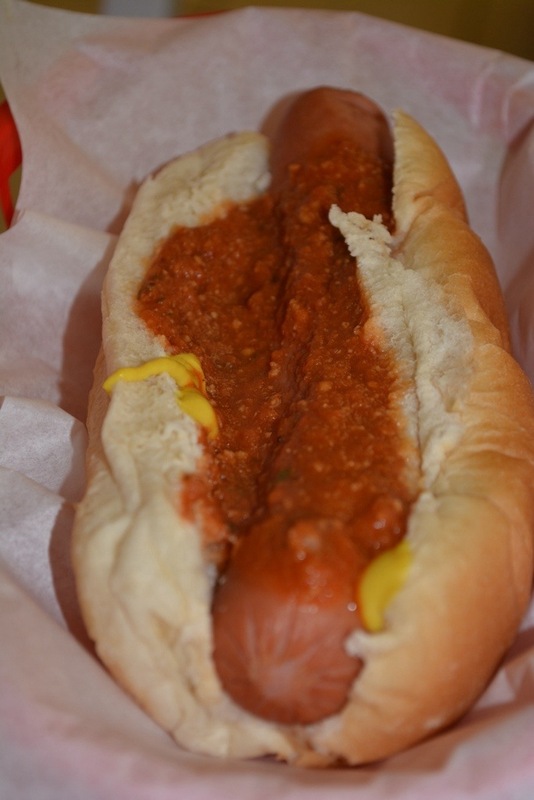 The chilli dog was nothing too spectacular to look at, yet once you took a bite, it was quite enjoyable. It had just the right amount of mustard sauce, the frank was cooked well and bun was nice and soft. The chilli sauce was very similar to a spaghetti meat sauce, and did not have much chilli in it. There was however, an offering of hot sauces available if needed! The hot dog, although something I won’t be ordering too much of on my trip, filled me up with happiness. The wings for me, were some of the best I have tasted. They had a crunchy texture, well cooked and plump, and the sauce was just right. The sauce had the right mixture of vinegar and heat, and took your breath away after the first bite, but not too much as not to enjoy the hot and tangy flavour. 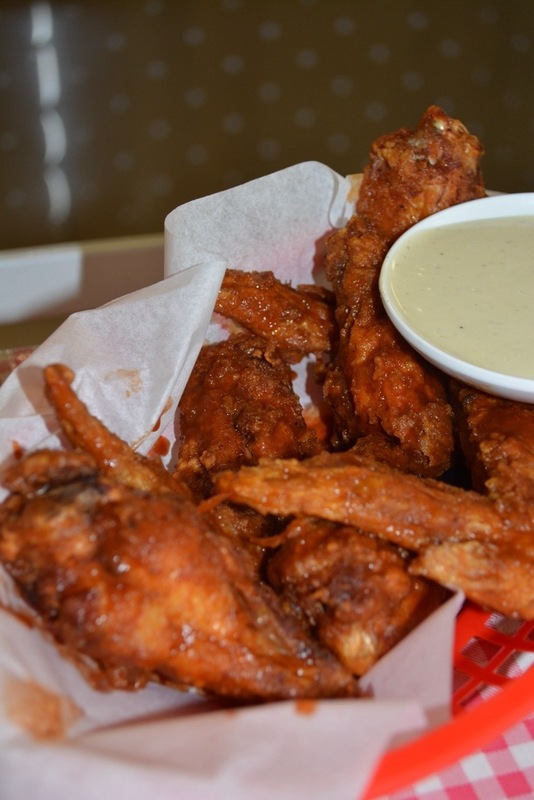 If I were to recommend a good place to eat wings, Carolina Kitchen would be at the top of my list! I thought that I would get into the theme of things and tried out an iced tea. 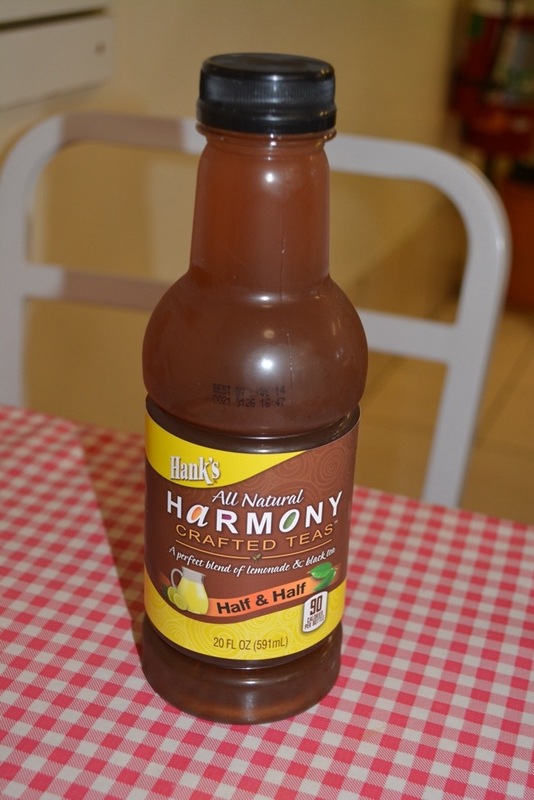 The one I had was half black tea and lemonade, very nice! I think that when it comes to American type food in Brisbane, you pay a price for it, or for the good stuff anyhow! I thought that as far as value for money goes, Carolina Kitchen was reasonable value. I paid just over $35 for a lunch that I was ‘just’ able to eat! The portions were just right, however, I still feel that anything over $15 for a half rack, or $30 for a full rack of ribs, is a little too much. The regular rib option was borderline value for money. Everything one would expect an American styled diner to be. Not traditional BBQ, but perfect selection of items for the type of restaurant that it is. A restaurant is not just about the food, it is also about great customer service. 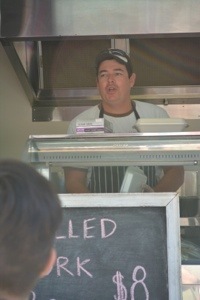 This family run business ticks the boxes and it was refreshing to find someone passionate about what they cook. Not the American BBQ that I am seeking, but for a good American meal, it is the place to visit! Overall good value for money for homely American fare. If the ribs were either smoked or put on the grill a little longer, then all the boxes would have been ticked. 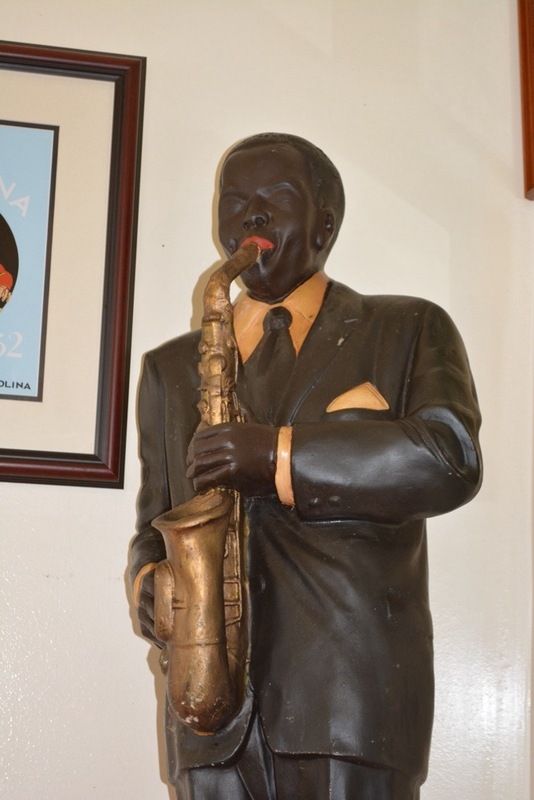 The sign outside the door says “Food for the soul”, and from the moment I stepped through the door at Carolina Kitchen, I experienced the sight, sounds and smells of a happy place, and my soul was wanting to be fed! Carolina Kitchen was never going to serve the true BBQ food that I was after, but it did provide a taste of Southern hospitality and charm. 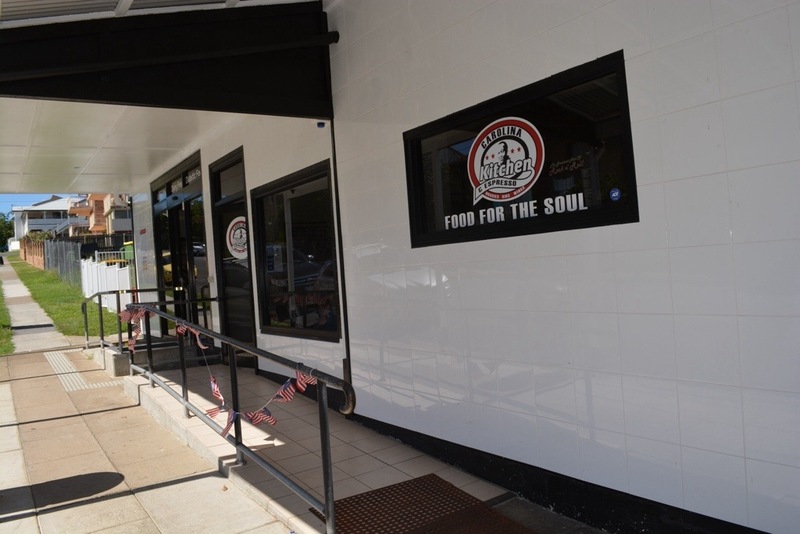 It was a pleasure talking to one of the owners and his passion for great quality and taste, was evident in the food. 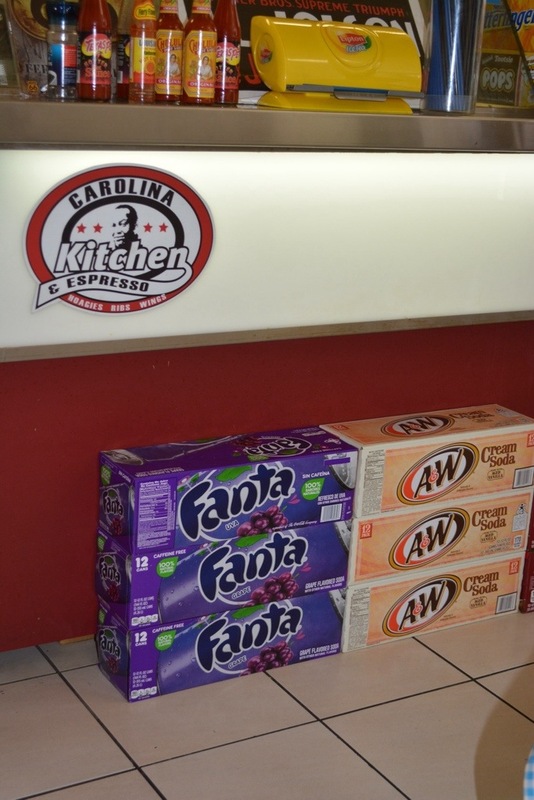 Carolina Kitchen is the home of the Hoagies and definitely Buffalo Wings, but BBQ it isn’t. This would not stop me coming back and I would definitely recommend it to others, for the food here is indeed, ‘for the soul’.